We began the year by activating over 100 new Flightradar24 ADS-B receivers around the world, helping us track 4.4 million flights, a 110,000 flight increase over last January.New receivers on six continents added new coverage and, importantly, expanded our MLAT coverage area in multiple locations. 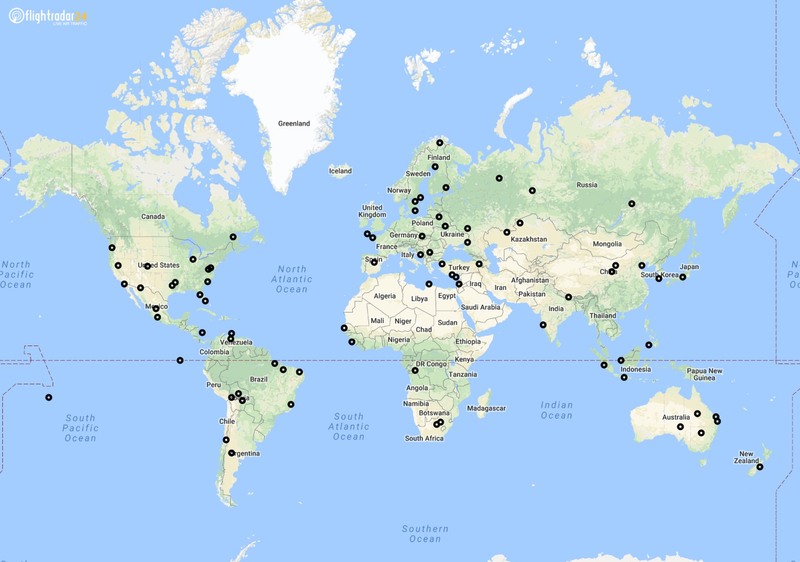 Five new receivers in Australia added additional coverage and expanded out MLAT coverage there as did the four in Turkey, three in Bolivia, and more than a dozen new receivers in the United States. We also activated a receiver in the Galapagos Islands, providing important new coverage in the eastern Pacific Ocean. In Africa, new receivers in Sierra Leon, Senegal, Libya, and Democratic Republic of Congo are expanding out coverage area and filling important gaps on coverage. Here’s the full map of all receivers activated during January (click to expand).